We feel nobody knows your son or daughter better than you do and therefore value your input. Although many parents feel that their presence will make your teen nervous, most often the opposite is true. If you cannot attend the session, we still value your input, talk with your teen and let him or her know if there is anything special you want so they can tell us when they get here. Please let us know before the session if there is something specific you are looking for. Please do not bring more than 2 people with you. If you bring a small child that day, please make sure that he/she has something to keep him/her occupied during your session, as well as someone to watch him/her. We have a large studio filled with props and equipment making it easy for small children to get into trouble if unsupervised. ORGANIZE THE NIGHT BEFORE YOUR SESSION! We have had many seniors arrive at their session missing something, either a small piece of an outfit, or a complete outfit! Seniors, please organize your stuff the night before you come and put it all together in one place. On the day of your appointment, just pick it up and leave for the studio without having to rush around your house at the last minute looking for things. If you don’t do this, you will forget things and mom will be making a rush return trip home from the studio to find that white shirt you wanted for the white on white! There are a few bonuses to using accessories well (as well as layers). One is that changing them up a bit throughout the session can give you multiple looks without having to do many wardrobe changes. They can also be something that the subjects can interact with … a sassy little tip of the hat, holding the ends of a scarf while running and letting it billow behind you, grabbing the lapels of a husbands jacket while pulling him close for a kiss … all these little gestures and ways to interact (and become more comfortable in front of the camera) can be made possible with styling choices. Many of my sessions will feature items used outside their intended use or subject … my girls are often seen in mommy’s hats or scarves (scarves can be used in different ways like wrapped around their shoulders, as a hair piece, etc) and they love to wear costume jewelry. ARRIVE 10 MINUTES EARLY AND IN YOUR FIRST OUTFIT! Please arrive ready and in your first outfit, which is usually your most formal outfit. There is some paperwork and other business we need to take care of before Rich can begin your session. It is extremely important to us that you are ready to be photographed at your scheduled time. We have many appointments scheduled back to back, and we will not run over your reserved appointment time into another senior’s session. If you wear eye glasses most of the time, you will want them in your photographs. To eliminate glare and reflection, call your optometrist and arrange to borrow a pair of empty frames similar to yours; or have the lenses removed from the frames you already have. Most opticians will help with no charge. Having the lenses taken out eliminates glare and distortion. If you choose to wear your glasses with lenses in them, keep in mind reflections can be removed (if possible) at your expense. Rich Banick Photography is located at 211 West Grove Street in Dunmore. We are across the street from Sibio’s Restaurant at the corner of West Grove St. and the 1300 block of Quincy Ave. Off street parking is located next to our Grove Street entrance. Please use the entrance on Grove Street. Please do not park on Quincy Ave.
We are a full service portrait studio. Our 11,000 square foot facility includes a large main studio with several shooting areas dedicated to senior portraits. We also have a 24 ft wide white cyc room that we use to photograph large groups, and a natural northlight room with 3 huge windows in it. We have two private dressing rooms that are brightly lit with mirrors. This is where you can hang your clothes and get ready for your session. Solid white/black tops- short sleeve are recommended. Fun jewelry can be worn. Girls, please wear makeup! Even people who do not wear much makeup need to wear more than normal due to the lighting. Bring your makeup with you to reapply if necessary. Please visit our White on White and Black and White galleries for examples. This photo should be very classic, so choose clothing that wil not be outdated in a few years, and avoid wearing sleeveless tops. (Girls, we have black drapes here for your use in your formal photographs if you choose that look.) These photos are typically the type that parents love, so try to wear something that you both agree on. There are many backgrounds in our studio! Please visit our Seniors page or facebook to see all of the different backgrounds we offer. Also, we are always getting new backgrounds in, so feel free to stop by during our office hours for a tour of the studio. We also love to photograph you with things that are special to you such as pets, sports, or hobbies. If you would like this type of photo, please bring everything you need with you. We can handle most requests, but please call us in advance if bringing anything extra large. Pets are more than welcome, but please bring someone with you to watch your pet during your session. During daylight hours, we photograph part of your session in our north light room. This room gives us the ability to use natural light without having to go outside. The quality of this light depends on the time of day and the weather conditions that day. During darker days or on days when the sun sets early, we have also have studio lights in this room to simulate the north light look for most of our backgrounds. We have a 24 ft wide cyc studio at our studio. This gives us the ability to photograph large groups or objects on a white seamless background. This is the background we usually use for sports equipment photographs or photographs with large props like motorcycles, drum sets, and any other large object that you bring along fror your photos that day. We have several locations on site and within walking distance for outdoor photos. Visit our website or facebook to see everything we have to offer. Weather can be a problem, sometimes the rain is just a passing storm and we can focus on your indoor photos while the rain passes. If that is not possible, we will reschedule part of your session for another time. The outdoors are also a great place to photograph you with your car or motorcycle. The only request we make is that you inform us ahead of time. Please make sure that cars, trucks, or motorcycles are clean inside and out, if not, dirt will show on the final images. For more examples please visit our Outdoors gallery. In addition to what we offer at our stuido, we also offer on location photography. This is a session in itself and can be split between location and studio portraits. Rich will travel within 15 miles of the studio to photograph you at a location that you would like to be photographed at. Please let us know if there is a specific look that you are looking for. We love to work with you to create images that truly reflect you. Likewise, if there is something specific you are not interested in let us know, we do not want to waste your studio time taking photographs of you on a background or with a prop that you do not like! Hairstyles are a very personal preference. Make sure your hair is exactly the way you wish it to appear in the finished photographs. Hair is extremely hard to fix afterward while retouching! Bangs hanging in your face will cause unflattering shadows. Use hair spray to hold it back. We cannot be responsible for a bad hair day. Waiting to do your hair or makeup at your session time will dramatically cut down your camera time and number of images. Schedule an appointment for hairstyling or a haircut at least one week before your session. Do not get a haircut the day before or the day of your session. Also Check out the New Split Sessions Being Offered by Rich Banick Photography. Make sure you have every part of your outfit planned out and bring all outfits pressed on hangers. Be sure you are wearing clothing that flatters your body type. When posing you will be sitting, standing, and possibly laying down, so bring outfits that will allow you to do that and still look great. Dress from head to toe because we may see your shoes in some poses. For this reason we recommend that you clean your shoes, including the soles before coming, or wear a new pair of shoes. Have a complete dress rehearsal the night before your session. And check to make sure you have everything packed before leaving for the studio! Remember the most important thing is that you feel comfortable in what you are wearing! We recommend arriving dressed in a formal/yearbook outfit. Girls -Sleeveless tops emphasize the upper arm and are often unflattering to every body type. Mini skirts severly impact the poses we can photograph you in, if you do choose to wear one, we will only photograph you standing up. Boys - Please bring a variety of clothing, not just three polo shirts in different colors! Don’t forget to bring matching belts and socks. Please wear solid color undershirts that match the shirt you are wearing. Watches are not appropriate, they are a distraction in your photos. Boys - Shaving - make sure you have a fresh shave. A five o’clock shadow cannot be removed. Girls - Makeup- Even if you do not normally wear makeup, we recommend wearing some especially if you are interested in the high contrast B&W images. Bring extra makeup with you for touchups. Brows - waxed or plucked a few days before your session. Tanning - avoid being overly tan, you will look orange. Also, tan lines and sunburn lines will show. There is an extra charge to remove them from your finished portraits. Nails - make sure they are neatly done, they will show. Blemishes- we can take care of those! Accessories- hats, sunglasses, purses, and jewelry will help add to the variety of your images. If you would like, please feel free to visit our studio for a tour. We are open Monday through Friday from 9 AM to 5 PM. We ask that you give us a call at 570.344.7053 to let us know that you are coming. You must make an appointment to come and place your order. Orders must be placed within 7-14 days after having your photos taken (or at a mutually agreed time, within reason, between the studio and the client). This appointment is made on the day of your session. During this appointment you will be viewing your portraits on a large screen and placing your final order. At this appointment, one of our sales associates will show you your images in a variety of sizes and explain all of the options available for your photographs. They will help you sort out your favorites, listen to your wants, steer you clear of unnecessary selections, and custom design a portrait package that saves you money. Bring anyone that you want to be part of the decision making process because you will be placing your order at this time. If an additional appointment is needed, they can be made. There will be a $50 fee for additional appointments, this fee will be applied to your order. It is normal for customers to pay the balance of their order at the time of placement. However, we will process the order with 60% of the order paid. If you cannot leave a payment of at least 60% we will hold the order interest free until the 60% is paid, at which time it will go into processing. We gladly accept all major credit cards; however we do prefer checks or cash. 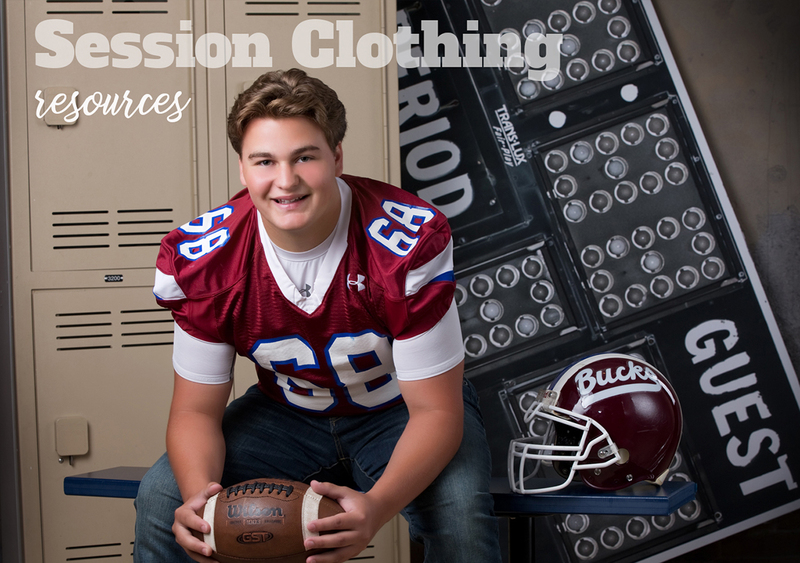 Rich Banick Photography is more than happy to provide you with your high school yearbook photo, either as a print or digital file. One yearbook photo will be provided with the purchase of a package or prints from your senior session. If you are coming from a non-contract high school (schools other than Scranton Prep, Scranton High School, West Scranton and Dunmore High School), please be sure to bring a copy of your yearbook requirements to leave with Rich. This will ensure that your photo meets the specifications. Rich Banick Photography is more than happy to provide you with your high school yearbook photo, either as a print or digital file. One yearbook photo will be provided with the purchase of a package or prints from your senior session. If you are coming from a non-contract high school (schools other than Scranton Prep, Scranton High School and Dunmore High School), please be sure to bring a copy of your yearbook requirements to leave with Rich. This will ensure that your photo meets the specifications. Due to the limited time available for senior portraits and the demand for these times, we must receive prepayment for the session to hold this appointment, and qualify you for any promotional discounts that may apply. We accept debit and credit cards over the phone to secure your time. Checks or cash can be sent to us in the mail, or can be accepted in person at the studio. These payments must be received within 3 business days of making your appointment or your appointment will be cancelled. Rescheduling – If you have to reschedule your session, please inform us at least 24 hours in advance. Your payment will be forwarded to your new appointment. No show – If you do not show up for your appointment and do not call in advance, your payment will be forfeited. Cancellations – If cancelling, 21 days notice is required to receive a refund on your session payment. After that time, the payment is non refundable. With every senior portrait order, a free family portrait session ($100 value) will be given. This can be just the kids, the whole family, or any combination. Plus, as an added gift, you will receive one free 5x7 print from the free family session. If you reserve your family session on or before the time of your view and order session for your senior portraits, you will receive a credit towards the purchase of your family portraits equal to 10% of your senior portrait order. This credit will only be received if the family portrait appointment is made on or before the date of your view and order session portraits. Your complimentary family portrait session can be scheduled for later in the year and is perfect for Christmas or Mother’s Day. We hope that you will take advantage of this great offer. Call us today at 570.344.7053 to schedule your family portrait session! All photographs taken by Rich Banick Photography are subject to all U.S. copyright laws, and may not be copied or reproduced. Any reproduction of our photographs by anyone else other than Rich Banick Photography is prohibited by Federal Law and prevented by your own integrity. Due to the fact that Rich Banick Photography offers graduation announcements, a release will not be given for graduation announcements. One time only releases will be given for graduation cakes, and items that Rich Banick Photography does not offer.